Mini chewy brownies with dark chocolate, butter (unsalted), unrefined golden caster sugar, egg(s) (free range), plain white flour, white chocolate chips, milk chocolate chips, fudge pieces. 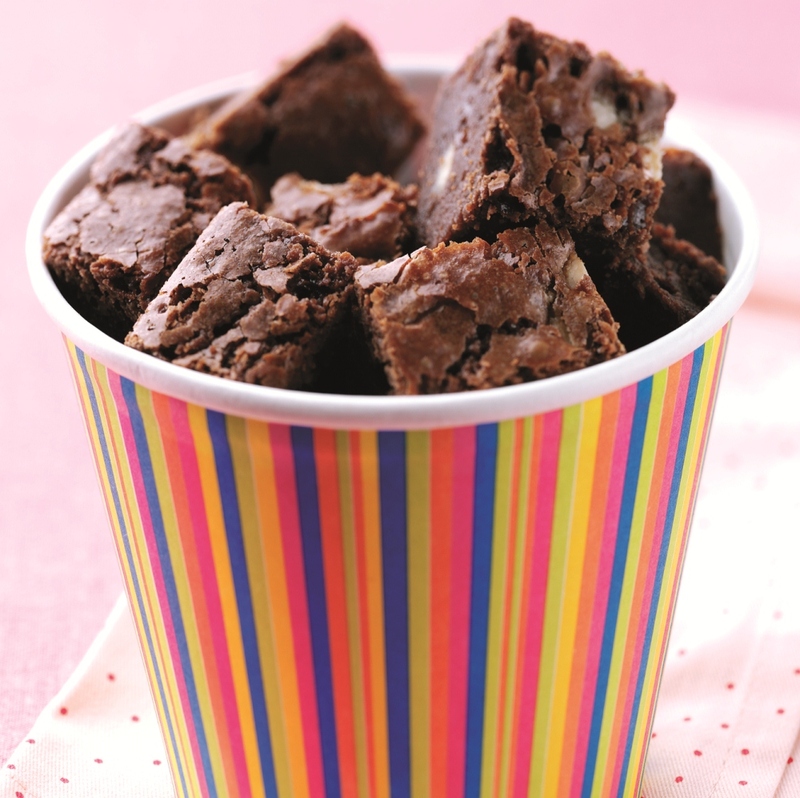 To make this mini chewy brownies for 18 persons you will need 10 mins for preparation and 45 mins for baking. Step 1Preheat oven to 170°C (fan oven 150°C, 325°F, gas mark 3) Butter and line the base of a shallow 20cm square tin with baking parchment. Step 2Place the dark chocolate and butter in a bowl over a pan of simmering water. Do not let the water touch the bottom of the bowl. Heat the gently until the butter and chocolate are melted. Remove the bowl from the pan. Step 3Add the sugar to the chocolate mixture and beat. Whisk in the eggs one at a time, until combined. Step 4Add sifted flour and beat until smooth. Fold in the fudge pieces and chocolate chips. Step 5Pour into the prepared tin and bake for 45 minutes or until the surface has set but still feels squidgy underneath. Step 6Leave to cool completely and cut into bite sized pieces.